The 21st Exotic Orchid Show in Barcelona encourages orchid lovers to take part in one of the year's most important events. It was in the 18th century that high society developed an almost obsessive interest in buying and cultivating exotic orchids. In fact, every time an orchid tree blossomed they celebrated with a party and it was even talked about on the front pages of newspapers. Today, orchid-mania isn’t as alive as it used to be, but it still has its fans such as the Catalan Association of Friends of the Orchids (ACAO). ACAO organises various activities throughout the year to enjoy these magnificent and mysterious plants and to share experiences and information among enthusiasts. 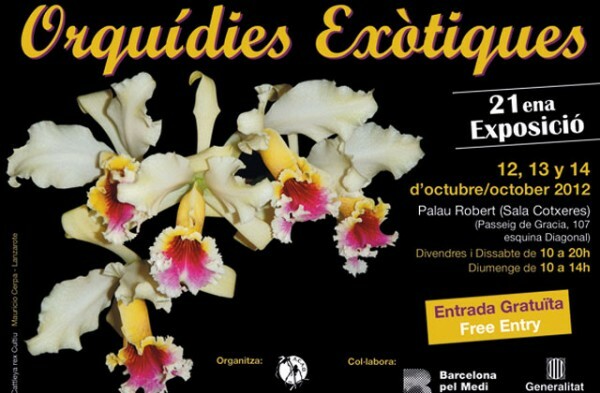 In the coming days, ACAO and the Palau Robert will be celebrating one of its most important events: the 21st Exotic Orchid Show in Barcelona. The event will allow visitors to see a selection of orchids from the private collections of ACAO members. They will also be able to buy lesser-known specimens and attend a series of workshops and conferences (take a look at the event listing). If you’re an orchids enthusiast you can’t afford to miss this event, and if you’re not, maybe it’s the perfect time to discover these wonderful plants and take one home.